Lavender expects the bill to move more efficiently this session as it has been introduced earlier in the session. In a statement released yesterday, Lavender said,"This bill allows law abiding, licensed individuals to more fully exercise their 2nd Amendment rights," said Rep. Lavender. "At the time when the federal government is increasingly infringing upon our 2nd Amendment rights, we are saying that if you are a law abiding citizen, we want you to be able to defend yourself, your family and your property." "Texas is one of the very few states that does not allow its citizens some form of open carry. Texas should not be a laggard in supporting gun rights, but rather should be leading the fight to protect our 2nd Amendment rights," said Rep. Paddie. "We are committed to supporting the 2nd Amendment rights of all Texans and this bill shows our continued commitment to the 2nd Amendment, even in the face of increasing federal scrutiny." Last session's bill received solid support, but it was introduced late in the session. Lavender believes that by introducing it earlier this session, he will be able to usher it through more effectively. Lucy Nashed, Deputy Press Secretary for Texas Governor Rick Perry responded my questions about the issue stating that Gov. Perry "is very supportive of concealed carry, and has a CHL himself. Expanding that to open carry would require a lot of public discussion and legislative deliberation. Should any bill on open carry make it through the legislative process and onto the governor's desk, he will thoughtfully review it." As can be expected, the NRA's Institute for Legislative Action (ILA) will be standing strongly beside this bill. NRA spokeswoman Jacqueline Otto told me today, "The NRA will always support law-abiding citizens' ability to defend themselves and their loved ones." In an attempt to garner support from law enforcement, the bill contains a requirement that anyone carrying a gun openly will be required to have what is known as a "Level 2" retention holster. Level 2 requires a thumb snap in addition to at least one other retention mechanism such as a trigger guard clamp or an additional snap over the trigger guard area. This necessitates three seperate actions to draw the weapon. Texas Land Commissioner Jerry Patterson was the author of the Texas Concealed Carry Law when he was a state senator. I asked Patterson about the proposed change to allow open carry. "There's no reason Texans who have a CHL shouldn't have the option to carry openly, and I support HB 700," Patterson said. "There are dozens of states that allow open carry, even by non CHL holders, without a problem. It would be reassuring to see someone with an unconcealed sidearm and know that by definition, they're not a criminal." Several additional joint authors will be announced next week in the House, and the bill is expected to receive solid support from Republicans in the Senate according to a spokesperson in Lavender's office. The bill, most likely, will be introduced to the House Committee on Homeland Security and Public Safety. From there, it must clear the Calendar committee before coming to a vote of the full House. If it gets that far, it is expected to pass the House. Open carry is allowed by many states across the nation. Some states allow even non-licensed citizens to openly carry handguns. I have carried openly in New Mexico and Arizona where it is allowed by law. 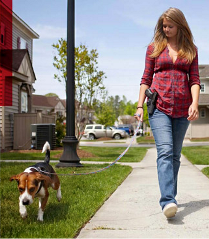 It is certainly a different feeling than carrying concealed, and there are many considerations you must take into consideration before doing so. That said, a law abiding citizen should be allowed the option of carrying concealed or openly. The predictions of gunfights in the streets and increased violent crime are simply not true. The presence of a good guy with a gun or even the threat of that presence will often deter a bad guy from doing wrong. After all, look at the number of shootings in "Gun Free Zones". There will be much discussion on this bill from both sides. Lavender's spokesperson told me today, they have not received a single phone call in opposition to the bill. We Texans know what we want! Why do we need to have a permit to carry a handgun? Criminals don't bother with permits... Let's abolish the entire permit process and allow anyone who can legally own a gun to carry one either openly or concealed. Texas is known for its exceptionalism, and readiness to secede at any moment, but then you look at its Jim Crow laws converting the right to self-defense to a taxed privilege... and you wonder, what makes Texas so different from the vast majority of the States that have similar unConstitutional Carry laws? Blackhawk will love this. About the only holster on the market outside of bulky police duty holsters that will fit the bill is their Serpa. Certainly most concealed carry holsters won't. Almost makes you wonder if the addition is to appease LE as the article states, or payback to a supporter. We have to be careful with that. I agree with you, but you don't want to end up with open carry laws like California. They can stop and check your guns if and when they feel like it. It may turn into a situation where you are constantly being checked to make sure you're not a felon or criminal...I'd rather see them working on legislation to block the potential weapons bans at the federal level. I believe there is some legislation being introduced in that department. I believe Galco has introduced a holster with a retention system. also Texas based Tucker Gun Leatger offers holsters with a thumb break retwntion strap. Also Bladetech offers non bulky holsters with a retention system as well. Hopefully Comp-Tac offers one if this passes. They are also based in Texas and has been offering high quality concealement holsters for some time. Just a strap won't do the job. A simple thumb break doesn't qualify as a level II retention holster. And the Serpa, about the only non-duty holster out there that currently qualifies, is only available for a limited number of gun models. I support this proposed legislation. Open carry in Texas? I certainly hope this legislation is passed. I consider myself militia against criminals that aim to harm persons or to commit crimes using force. The best defense to crime is a good guy with a gun. I hope you support this proposed legislation. I feel that we as Texans should be able to carry openly, with or without a license, but I do support maintaining the concealed carry license as it allows Texans to continue to carry in other states that allow concealed carry.